Like most of the Apple fans, I used to update the iOS system on my iPhone when Apple released a new version of it. After getting some experience on the newest device, I learned that Apple unannounced a great feature in the new iOS 11 beta version, that is screen recording. So I tried to enable it from the Control center to record Minecraft PE gameplay on my iPhone. Unfortunately, I ran into the problem of iOS 11 screen recording not working. This made me very sad. Can anyone offer me an easy guide for troubleshooting this issue? Thanks a lot! 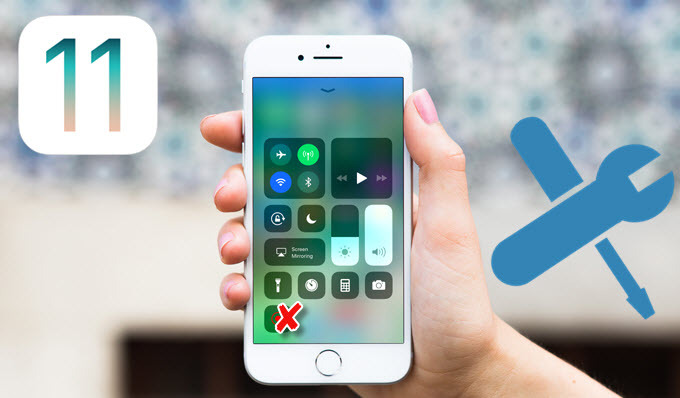 Although it is possible to use the iOS 11 screen recorder to record on-screen activities like videos, pictures on Facebook, Whats app, Snapchat, etc, it turned out that many of the Apple users came across iOS 11 screen recording bugs. Just take it easy! Here I would like to share the detailed guide for fixing them with you. Since you are planning to use the iOS 11 screen recorder, you need to activate it at first. The process for enabling it on your iPhone or iPad is very easy. Go to the “Settings” and choose the Control Center. Afterwards, scroll down until you see Screen Recording, add it, and finally close the Settings. Open the Control center by swiping up from the bottom of your phone and tap on Screen Recording. Select “Start Recording”. As you can notice, the Screen Recording icon will turn red. If it is white or gray, you can turn it on by repeating the process. 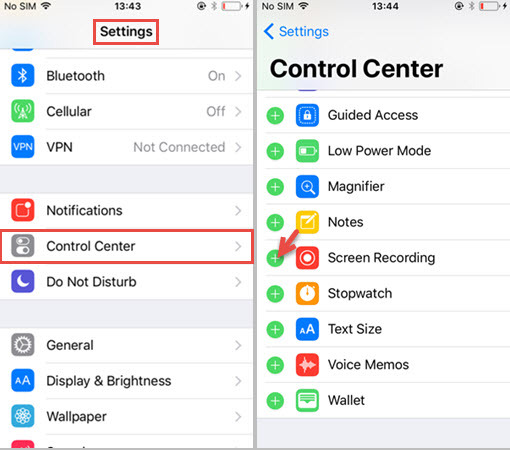 In case you have followed the guide to enable screen recording and tried to start to record by tapping the icon from the control center, you may still have found that it didn’t work. Actually, the reason of this problem usually lies in that you have disabled the Screen Recording Restrictions. 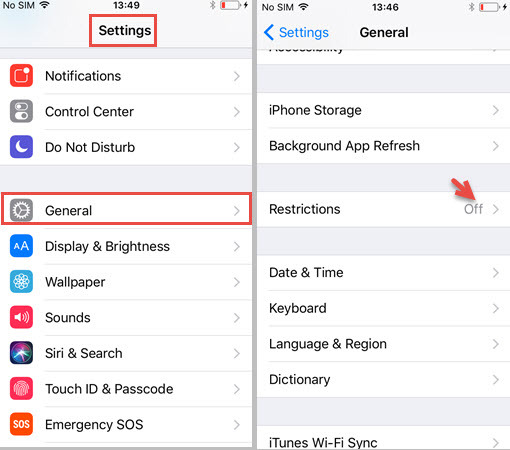 To turn it on, please tap on “Settings” > “General” > Turn Restrictions on, then scroll down until you see Game Center. If Screen Recording toggle is white, please turn it green. Did it ever happen that you come across the problem that you could capture the screen display on your device but without actual sound? To fix it, 3D touch Screen Recording icon in the control center and tap on the “Microphone” icon to turn audio on. 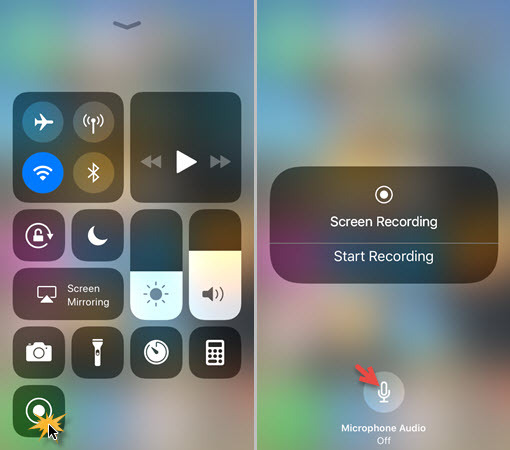 In case you encounter the scenario that you have just finished your recording and just tried to playback it, but unluckily, you found that the orientation of the iOS 11 screen recording broken, then it is a very irritating thing, right? In order to fix it, you may go to the Apple store to download a video editor called Cute CUT Pro. It can help you rotate the video to landscape or portrait orientation easily. 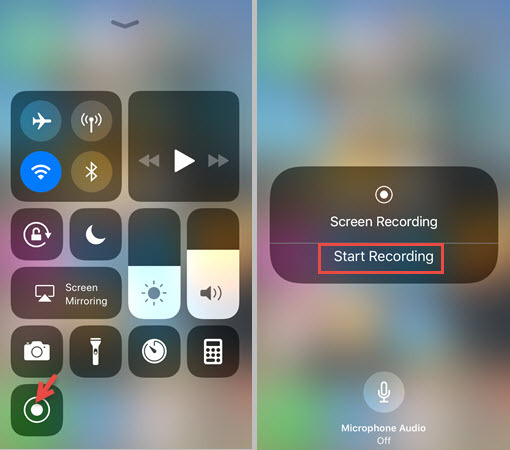 You can start to record video by launching the screen recorder successfully, but you may found out that the iOS 11 screen recording is not saving after recording. You might feel very strange as you can see the blue bar appear on the top while recording. Don’t worry, the recorded video can be found in the Photos app video folder. In order to avoid this problem, please make sure that there is sufficient space in your iPhone storage. 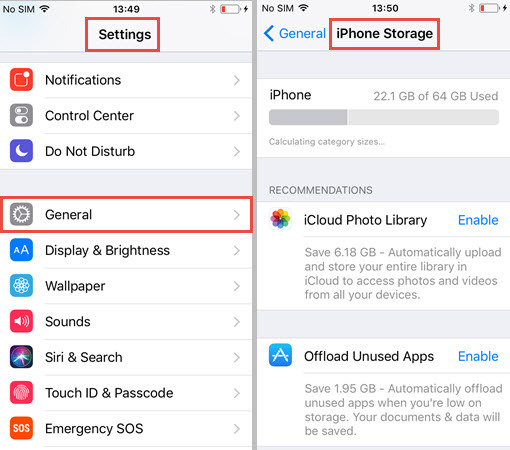 Firstly, click on “Settings” > “General” > “iPhone Storage” to check it. Also, you may choose to upload it to iCloud so that you can watch it on your Mac OS High Sierra, iMac, Sierra MacBook Pro, etc. We have shown the tips and tricks on how to fix iOS 11 screen recorder above. However, if you don’t want to use the default recorder to record what’s on your screen, try the professional iOS recorder – Apowersoft iPhone/iPad Recorder. This tool has a refreshingly simple interface and allows you to record iOS device screen on computer without jailbreaking. 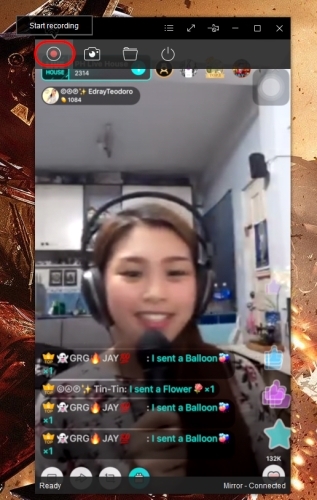 A great advantage of using this tool is that you are able to display and record live broadcasting videos, app instructions, or gameplay activities, etc. on a bigger screen, in addition to that you can personalize the recorded video format (MP4, AVI, WMV, MOV, VOB, etc), quality (high, standard and low), audio input (microphone, system sound or both). Download and install Apowersoft iPhone/iPad Recorder on your computer. Make sure your mobile device and computer are connected to the same WiFi network. Launch AirPlay and select Apowersoft[computer’s name] to stream your device to computer. Display whatever you want on your device and hit “Start Recording” to begin recording. Click on “Stop Recording” when you finish. The recorded file will be saved to your computer hard disk automatically. The stable version of iOS 11 is scheduled to be published in Autumn of 2017. Besides the screen recording feature, iOS 11 will come with lots of other big improvements. You won’t miss any important notification by using iOS 11 because all the notifications will be displayed on the lock screen directly. It allows you to do custom settings and enable 3D touch icons for more options in the control center. Siri can not only translate between languages, but also offers the better suggestion by using “on-device learning” technique. Besides these new features, the capabilities for accessing files, synchronizing messages, and managing photos are also improved.